Bulls loose forward Tim Agaba says he is looking forward to getting back on to the field after spending several months out through injury. DYLAN JACK reports. 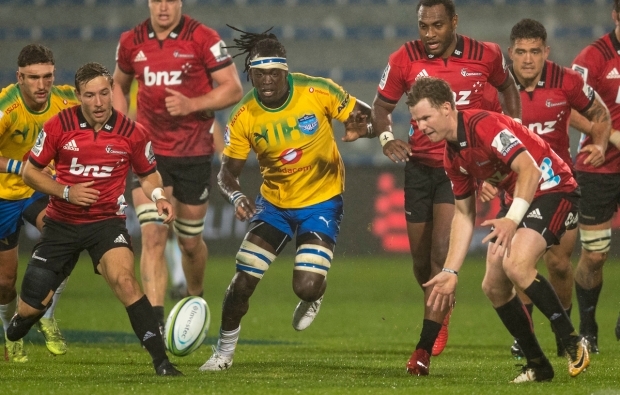 Agaba endured a frustrating debut Super Rugby season in Pretoria, missing most of the campaign after suffering a bicep injury in April, as he divided his time between sevens and fifteens. One of many Blitzboks seniors who are ‘done with sevens for now’, Agaba is fully committed to the Bulls and looking to bounce back after managing just a single start this year. ‘It has been a bit disappointing so far,’ Agaba admitted. ‘I have been injured for seven months so have not been able to play much rugby and have been on the sidelines. ‘But that has given me an opportunity to get to know the Bulls system, the physios and the bios, the background management staff. That has been a great experience. They have really helped me out and got me back to full health in a decent amount of time. So while I have not been able to play much rugby, I am still enjoying the Bulls experience and the Bulls system. The 29-year-old spoke highly of former Bulls coach John Mitchell, who is working as a defence coach in Eddie Jones’ England set-up. 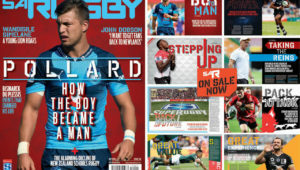 ‘For a person like me who came from the sevens system and had to transition back into fifteens, it was quite tricky, but having someone like John Mitchell as a head coach made things much easier. He is a world-class coach and would have been really good for the Bulls, especially now, but I wish him well overseas. He has a good opportunity with England and it must have been a difficult decision but I wish him well. ‘His attention to detail is next to none. I have never seen someone who considers every single factor that might change a rugby game. When he thinks about rugby, he thinks within the full spectrum, not just a rugby ball and 30 players on the field. 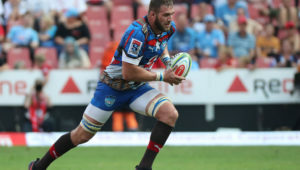 Agaba will face plenty of competition to get into the Bulls’ Super Rugby team, with the likes of Hanro Liebenberg, Roelof Smit, Ruan Steenkamp and Thembelani Bholi all looking to stake a claim as first-choice loose forwards.